My all time favorite season for nail polishes is fall. I have such a weakness for fall collections; the colours are rich and interesting, the finishes lush and delicious. After quite the process of elimination, I finally narrowed down the big pile of polishes I had pulled down to five beautiful cremes and one sparkling glitter. 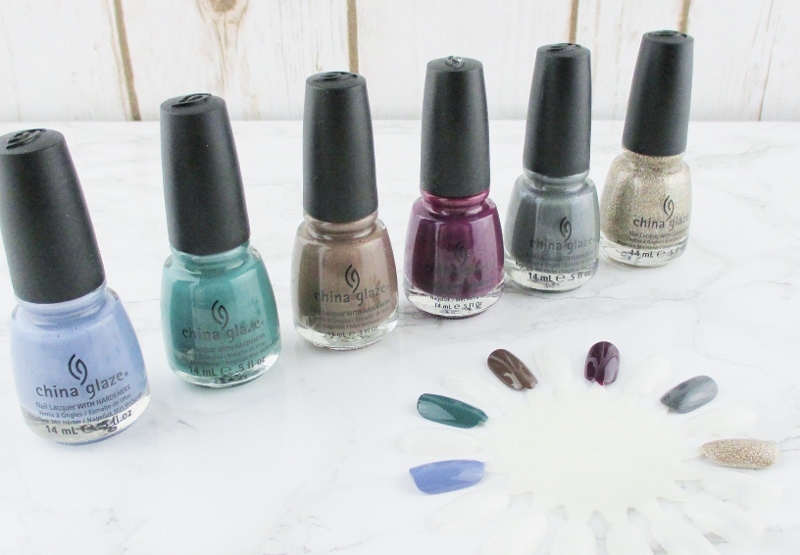 All of these polishes have excellent formulas, and they are opaque in two coats. Fade Into Hue is not "technically" a fall polish, this slightly greyed periwinkle creme is from a spring collection. I chose it because it has a fall feel. And, it's freaking gorgeous. Exotic Encounters is a rich mallard green creme that just begs to be worn with your favorite new fall outfits. Ingrid is that shade over which, back when I was just starting blogging, all of the cool polish girls were losing their minds. This beautiful greyed golden brown creme with a subtle gold shimmer was everywhere. I'm not the biggest fan of brown polish but I love this one and I had a feeling that you might, too. Urban - Night. If you are craving a deep, clean, perfectly balanced plum this is your play. Immortal. I don't know if I've ever mentioned this but I love grey polish, especially when it's a velvety grey with the finest, multicoloured sparkle shimmer. This is a very special colour. I'm Not Lion. This muted white/yellow gold micro glitter is enhanced with with multicoloured holo sparks. The formula is fluid and easy to work with, it is opaque in two generous coats or with a lighter hand, it is a topper or accent. So there we have it, gentle reader. Six interesting, beautiful and perfect for fall nail polishes. Which shades are your favorites? 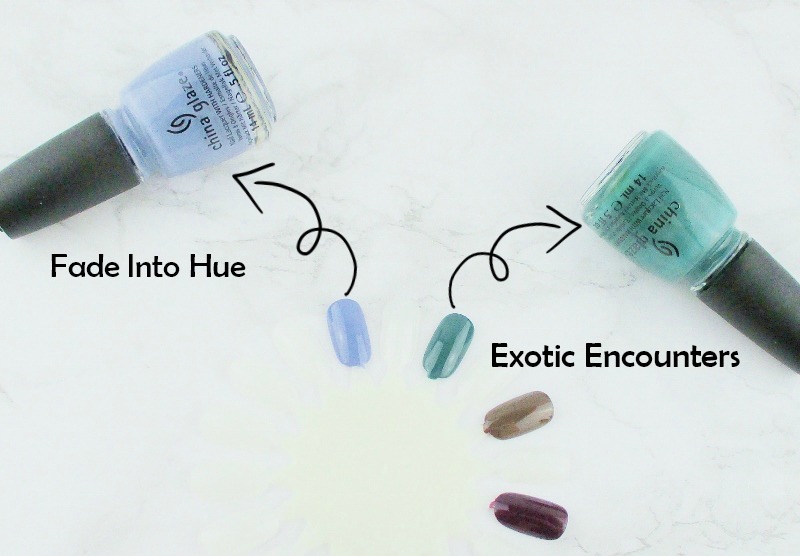 If you already own these polishes, are you inspired to do a little stash diving of your own? 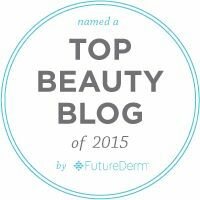 This roundup is a Brand Wars with my fellow Makeup Wars bloggers. Take a little time and explore their favorite fall nail polishes. Just scroll to the end of the post to find the link up gallery. Urban Night is gorgeous, how did I miss that one?! Great little line up! China Glaze does have some nice polishes for sure! I never think of them for fall for reason. I feel like they are my main focus in the summer tho! I am so disorganized with my polishes that I'd have trouble finding my China Glaze. I've seen some in your post that I'd love to own like Fade Into Hue and Ingrid. 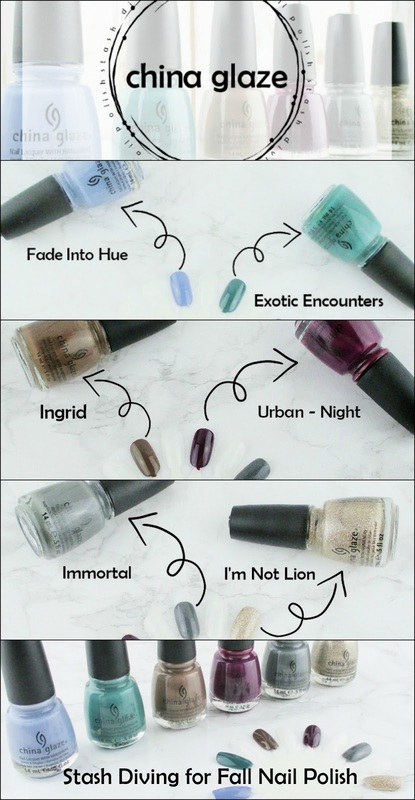 I love Ingrid, Urban Night, and I'm Not Lion! Some really nice colors from China Glaze. I love Urban Night. China Glaze has some really unique and beautiful colors! Ingrid will be incredible for Fall nail art! 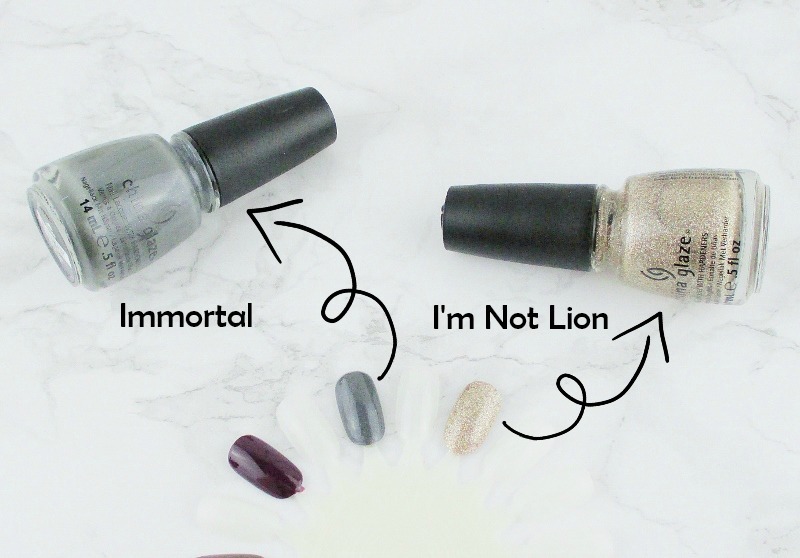 Immortal and Urban-Night are my faves! LOVE! Great post! I love the title of your post, at least it's not dumpster diving haha! I love the effort you put into this roundup as well! Fall is definitely when the prettiest polishes come out. You have so many beauties here! I especially like Ingrid. These are such pretty polishes! I love Urban Night! You go girl! Narrowing down my stash always feels like picking a favorite child, but we gotta do this from time to time unless we want to end up on the hoarders show haha! I really like Fade into Hue. The cornflower/periwinkle shades are so pretty year round. I love your aesthetic with these faded shades for fall! I remember when everyone went nuts for I'm not lion! I have and love that one. I really want to shop my stash of polishes more often. there are some gems in there for sure. I'm liking what you pulled out for fall. I don’t think I own any of these shades, but I agree, they are perfect for fall! 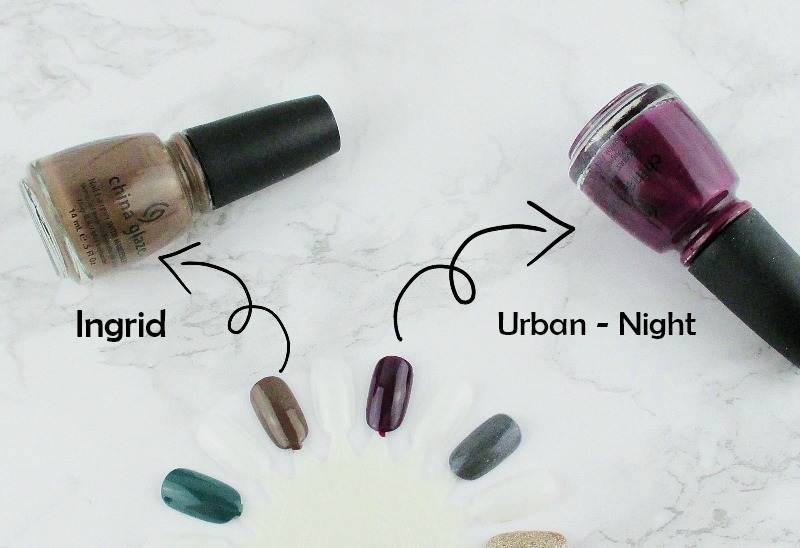 I'm kind of obsessed with Urban Night and I'm not Lion. They're both gorgeous and look perfect for fall! It's been a long time since I dove into my China Glaze drawers - you've inspired me to do so! The shades you picked here are beautiful! I love that you created your own Fall collection! 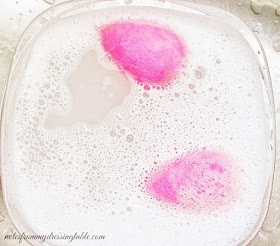 It's so nice to see a shade I already have in a recent blog post! Exotic Encounters is one of my favorite CGs. 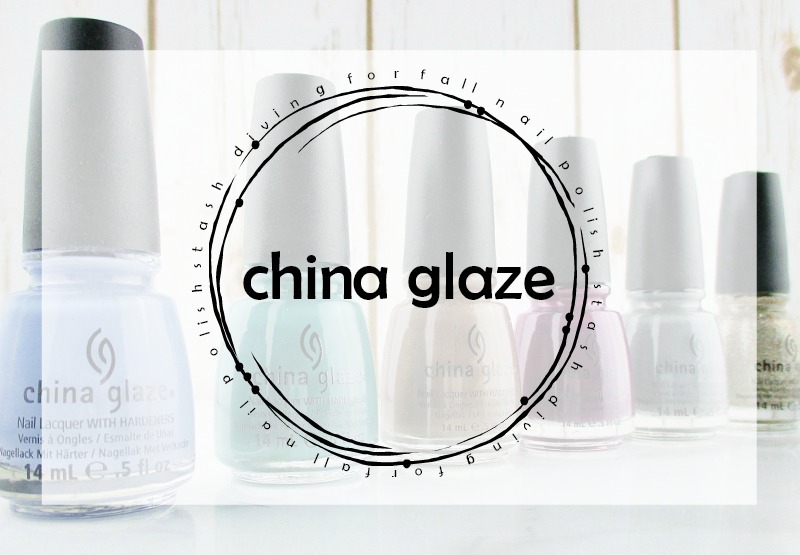 Always love seeing new collection from China Glaze. There is always a great mix of colors and finishes!